1. 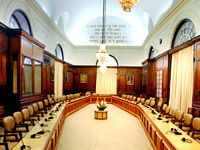 The original Version of the Debates contains proceedings in English and Hindi as they actually take place in the House. It also contains English/Hindi translation of speeches made in regional languages. The electronic version of the Debates do not contain the text of the Questions and their written Answers. It only contains the supplementaries put orally and answered on the floor of the House. 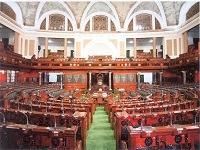 The Questions and Answers can be accessed by clicking the icon "Parliament Questions". 2. 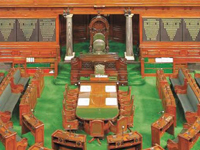 The Lok Sabha Debates are not for publication and are put on Internet solely for purpose of immediate general information in the public interest. 3. 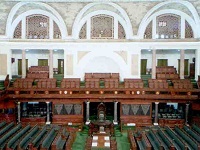 Parliamentary copyright : All Parliamentary copyrights are reserved. Individuals are authorised to use the content solely for their individual use, i.e., private study, research, and instructional or educational purposes by downloading on to their printer or to file. 4. 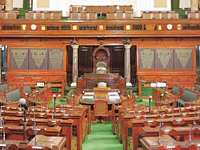 Copyright and Use : Permission of the Speaker, Lok Sabha is required for any reproduction from the content of this file. Suitable acknowledgement is required to be made of the source institution and Lok Sabha website. There must be faithful verbatim reproduction, no editing etc. is allowed of the matter for which permission is granted. 5. Users are requested to supply to Editorial Branch, Lok Sabha Secretariat, Room No. 510, P.H. 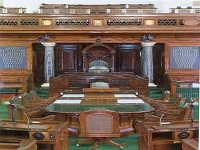 Annexe, two copies of the work in which reproduction from the content of this file is made with the permission of Speaker, Lok Sabha. 6. Without the written permission of the relevant copyright holder (Lok Sabha Secretariat), no part of these web pages may be published in any medium or transmitted to, or stored in , any publicly accessible website or other form of electronic retrieval system, nor accessed in such a manner as to make them appear part of any third party's website or electronic database or retrieval system. 7. The permission to reproduce from the Debates would afford no protection against any legal proceedings that may arise out of such reproduction. 8. 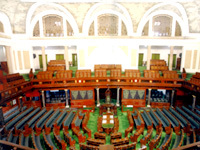 Printed copies of the Lok Sabha Debates are available from Sales Section, Parliament House Annexe, New Delhi.